• Especially use for packing cat.5/cat.5e box cable, with length 305M(1,000FT) or 100M. • Also available for coaxial cable and optical fiber cable. • Easily to produce the coil with different size of the central hole(inside dia.) according to the cable spec. • Tilt tension control system with tension wheel will effectively reduce and adjust the cable tension. 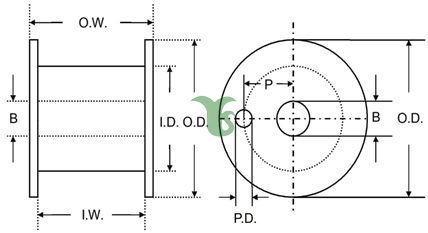 • Winding plate auto-switching system is optional available, to make the winding plate switch faster and convenient with control buttons. B) The main function of machine includes: length counting, wire traversing, wire coiling, and stop when the pre-set length is reached. * Winding head shall be made according to the provided specs from customer.